The OdorStop OS1000 high velocity carpet dryer/air mover is designed for floor drying, water damage restoration, and ventilation. 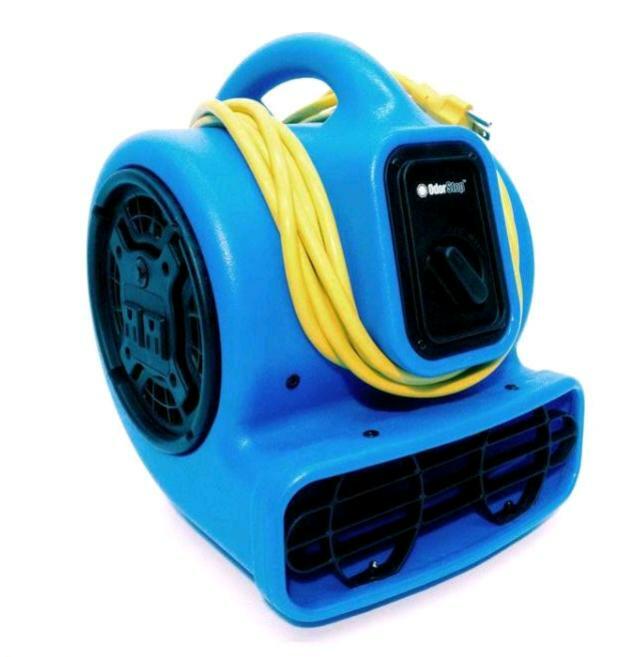 It is Ultra-lightweight, compact, powerful, has a GFCI outlet, a 15 foot safety yellow power cord and is stackable, making it the perfect choice for all air moving needs. * Please call us for any questions on our compact air mover blower rentals in Denver NC, Mooresville, Lake Norman North Carolina.